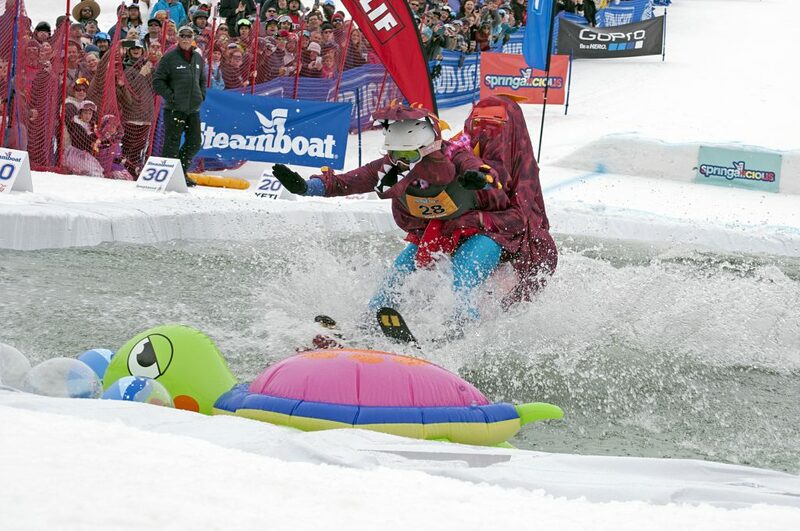 Meg Palumbo and Kaylee Maykranz slide through the water in a two-person dinosaur costume at Steamboat Resort’s Splashdown Pond Skim Sunday afternoon. 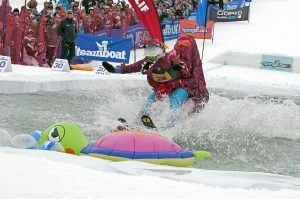 The Pond Skim helped celebrate the final day of the ski season at Steamboat Resort. 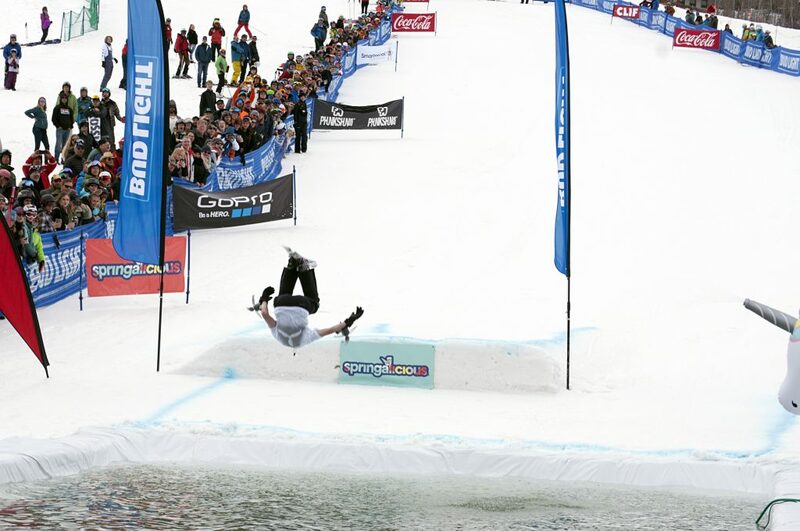 Chris Stone, 16, does a backflip into the water at the Splashdown Pond Skim Sunday afternoon. 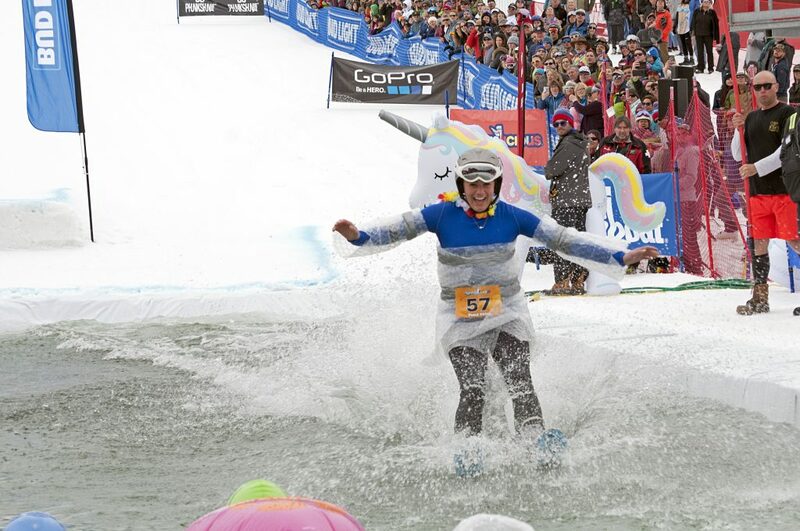 A skier slices through the water wrapped in bubble wrap. 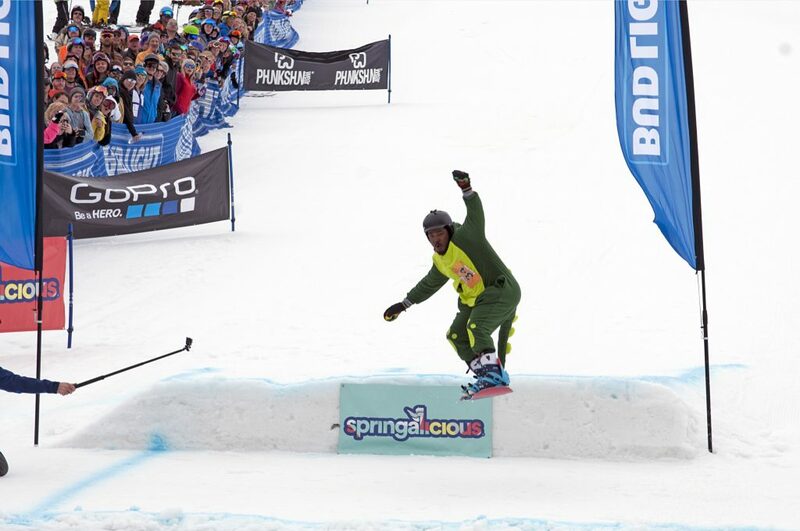 A dinosaur gets air off of the jump. 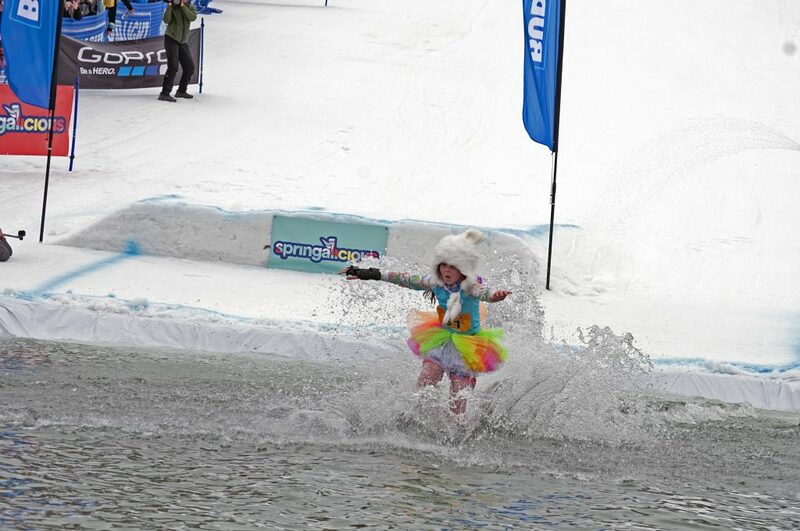 A young skier maneuvers through the splash.